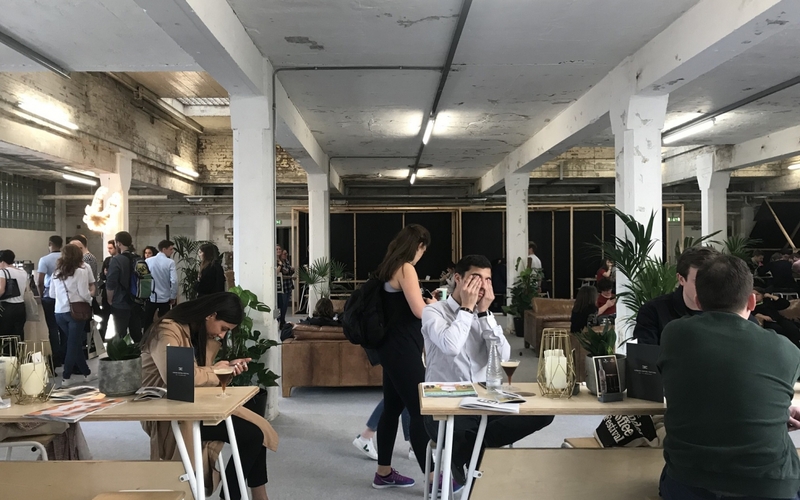 Walking into the Truman Brewery on Friday, the London Coffee Festival 2019 felt more like a warehouse party than a trade exhibition. Filled top to bottom with roasters and coffee brands, alternative milk brands and snack companies, the show was spread over 3 floors and 5 rooms. Speciality coffee shops seem to have taken over the marketplace, offering today’s consumer a new kind of experience. With 32% of the marketplace led by big brands like Starbucks and Costa, the rest if occupied by indies. And the sector shows no signs of slowing down! Because of the simplicity in their offering, the “new coffee-shop” adapts to changes in the marketplace quicker than others. They are able to offer today’s consumer more than just coffee and cake, but an experience that furthermore builds trust. Think about the last time you walked into a independent coffee shop. How did the environment made you feel? Could you smell food, coffee and hear music creating an inviting atmosphere? Did the space make you want to sit down, and spend the whole afternoon in there? Today’s coffee shops are offering the customer more than just coffee. Dynamic spaces have been designed with the customer at it’s heart, and are starting to compete with bars and restaurants. The personal experiences these brands create are based on good old simple quality and service. Something the big chains have forgotten about. Offering lattes made by a trained barista and cakes made by a local baker, these new coffee shops are giving the customer an authentic experience with a smile. Read our blog on Coffee Shops – Why should i bother with yours? for ideas on how you can offer something unique. Quality matters to both the brand and the consumer. Research has shown that consumers are willing to pay more for products that have been sourced from sustainable origins. Brands at the London Coffee Festival 2019 were quick to highlight exactly where their coffee beans come from and what kind of impact this relationship has on their suppliers. No more British humility, but pure and honest visibility of the supply chain. Something the Americans are so good at, that this country could use a little of. With more awareness on the impact plastic and food waste are having on the environment, businesses that are offering alternatives are gaining momentum. In the UK, over 2.5 billion disposable coffee cups are being thrown away each year. The misconceptions around recycling mean less than 1% of coffee cups are recycled. The coffee shop industry is quick to adapt their offering to the new eco-conscious consumer, however we can question whether it’s enough. Some businesses are helping reduce our footprint offering discounts to customers who bring their own reusable cups. Others only use biodegradable paper cups and recycled napkins, from suppliers such as decent packaging. Even a large chain such as Waitrose have limited their Free Hot Drink offering to customers who bring their own cups. A bold but crucial move to help our environment, because every little helps if we’re talking about our future. Coffee shops are now leading the way offering dairy free, gluten free and vegan produce to the consumers. Whether it’s cakes, nut milks or vegan sausage rolls, there’s something for everyone. The fresh produce, often handmade at the shop or bought in from a trusted supplier offers coffee enthusiasts with versatile options.